Getting an email response from high-profile influencers is tough, and there are plenty of useless cold emailing guides floating around the internet. But the truth remains that if you have something of value and you’re willing to fail well, there are very few people you cannot get in touch with. 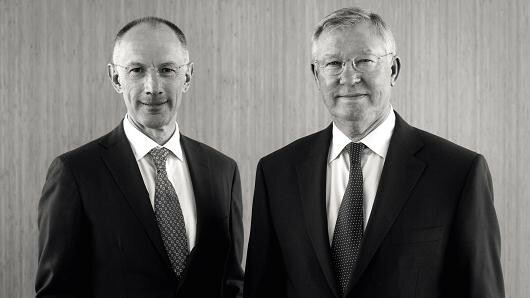 With little more than a keyboard and a book idea, here’s how I managed to have a senior partner at Sequoia Capital personally refer my cold email to Sir Alex Ferguson, as well as a post-mortem on other successful cold emails to Southampton FC chairman Ralph Krueger, and NYT best-selling author Adam Grant. I hope this post will inspire you to cold email whoever it is you’ve been wanting to get in touch with. Earlier in my career I spent six years in sales, and I’m not afraid to say I was wholly average. I would marvel at the ‘naturals’ who had the gift of the gab and knew when to flick the switch between playing the sly fox and the cutthroat wolf. I was not a natural, and over time I realized that I didn’t have the switch, nor was I a ruthless closer. I was missing the top instincts required in modern sales. I knew my time in the industry would be borrowed. I learned the ropes of business development by selling advertising — the Brand Power and Medifacts commercials that you might’ve seen on television. It was a great apprenticeship where I got to prospect North America’s dominant packaged goods companies like Kraft, PepsiCo, and Unilever. From there, I moved into technology recruitment, where I was lucky to be able to sell into some Canadian giants like Loblaw, Telus, and Shaw. Looking back at my sales career, I’ve realized that I had one elite skill; making meetings. For instance, as a non-agency-of-record I was able to secure two full days of meetings with brand managers at Procter & Gamble’s global headquarters. And, during my recruitment career, my most precious statistic was securing the most net new client meetings in a rolling one-year period. I could get to people the agency had never spoken to before. Making meetings is great, of course, but if none of those meetings turn into sales it’s not great for business. Nonetheless, the skills I acquired through sales have proven incessantly invaluable in my second career as a writer. As I set about writing my first book, Where Others Won’t (which argues people innovation is the premium source of competitive advantage for business) I started like any salesperson would; by writing out a prospect list. My book would cross-pollinate ideas from sports and business, so I needed to find ways to get in touch with executives, coaches and players from pro sports, and CEOs from the corporate world. Even with my existing network, contacting these types of people would not be easy, but I was self-publishing so wasn’t in a time crunch (which is part of the secret, I believe) and I felt I was bringing some value to the table for the interviewees as well. Sir Alex Ferguson was one of three coaches on my stretch list (along with Bill Belichick and Roy Keane), but by the time I got around to reaching out we were late into the first edit of the manuscript and I was hesitant, knowing that if I landed the interview we’d need to do a major re-write. That was until my editor, Fredrick Haugen, challenged me to complete my stretch list, having already made multiple failed attempts to connect with Keane and Belichick. I’m competitive, so I agreed, and I set about figuring out how to get in contact with probably the most famous sports coach in the world. The first barrier I came up against was that Ferguson is pretty much incognito in terms of contact details. I considered digging for details to be my expertise, but all I could find was his publisher and a booking agents for the speaking engagements he does. Neither of those are high-value avenues to pursue, so I had to try something different. After more searching turned up nothing, I decided to try a non-linear approach to contacting Sir Alex. It usually only comes in handy at pub trivia, but my photographic memory for useless sports tidbits recalled that Ferguson had co-authored most of his books. Authors, moreso than all-conquering soccer coaches, tend to have their contact details listed on their personal websites. At that point, I had no idea who Michael Moritz was (it turns out he’s a tech investor with the famed Sequoia Capital) let alone that his net worth is estimated at $3.8 billion. Nonetheless, as a former TIME journalist I assumed Moritz would be empathetic towards a fellow writer, and having written a book with Ferguson I assumed he would also be a sports fan. (Sports fans, writers and Australians tend to be my niche). Some basic research into Moritz’s background led me to the fact that Sequoia Capital publishes the email addresses of their partners right on their website. This, I decided, was my in. I scripted up my email, hitting send at 2:29pm. I’m Head Coach of Canada’s national Aussie Rules football program and as a writer by trade, am in the process of finalizing a sports-business crossover book. The concept behind the book is that professional sports have a depository of QA-tested people strategies that could help companies utilize their people better. But, organizations still struggle with setting their people up for success, particularly in areas like recruitment, culture and high-performance. I was struck with how eloquently you wrote about similar topics in Leading. I’ve interviewed Southampton FC president (and former Edmonton Oilers coach) Ralph Krueger, former Denver Broncos GM Ted Sundquist, and a laundry list of coaches, CEOs and players from sports around the world. My ask is to get some time with yourself to speak, and if possible for an introduction to Alex. Below are three of my own articles that shape the book, and I’ve attached an introductory chapter and list of interviewees to add further context. At 4:11pm Michael responded, copying Alex Ferguson’s son, Jason, who is his agent and coordinates all of Sir Alex’s affairs. It took me 101 minutes to get within one step of Sir Alex Ferguson, via one of Silicon Valley’s most influential investors. Once I had Michael’s referral (which adds all sorts of clout to the project), I felt it was time to re-up. My reckoning was that if I was going to be declined at this point I didn’t want to leave any key knowledge on the table. The final ace up my sleeve was the fact that my uncle was the first non-British player to ever be signed by Manchester United, and there was a report online suggesting a young Alex Ferguson had later played against my uncle for a Scottish XI that was touring Australia. I had a personal referral by Ferguson’s biographer, I’d already interviewed a Premier League peer (Ralph Krueger), and my family had a verifiable link to Manchester United. But, no cigar. A week later, Jason Ferguson responded to me and politely declined my request, sighting that Sir Alex receives a lot of interview requests and because he cannot do them all, he doesn’t like to choose one over the other. Fair call, and fair play to Jason for his transparency and follow-up. I can’t speak highly enough of my interactions with him. One of my more realistic targets for an interview was former Edmonton Oilers head coach and current Southampton Football Club chairman Ralph Krueger. As a fan of coaching, I’d followed Ralph’s journey for some time and was familiar with his extracurriculars, like his leadership essays for the World Economic Forum. Still, Premier League chairmen aren’t easily accessible, especially in-season. I’d thought about trying to get a referral through some NHL contacts I had, but rather than lose control of how that introduction was made, I decided to try something off-the-cuff and at least stay in control of my own journey. One of my general rules of thumb when reaching out to influencers is to avoid the obvious gatekeepers (for instance, in recruitment, you never want to speak to HR). But I threw that rule out for this approach, deciding to email Southampton’s general enquiries mailbox, which I found on their website. With a subject line of ‘Please forward to Mr. Krueger’, I decided to keep my message succinct, but also be very direct about why I wanted to talk to Ralph. By asking to talk about Ralph’s work on the WEF New Models of Leadership, I was able to create differentiation from everyone else who is just asking for football-related interviews. The thing is, I was genuinely interested in his work, and I had personal blogs up to help validate that. A month and a half later, Krueger’s assistant responded to me asking for some times that would work for a call with Ralph. We ended up setting up the interview during a busy April week while Southampton were battling with a number of other teams in mid-table. To be clear: this was an experiment that came off, but hasn’t worked for me since. I’m not sure I’d recommend this as a tactic, but it’s proof that something as drastic as emailing the front desk can work…if you are providing value. On June 24, 2013, perennial New York Times bestselling author Adam Grant posted an article to LinkedIn called 6 Ways to Get Me to Email You Back. In the blog, Adam outlines some of his research into the cold emails he’s received and what made him respond the fastest. almost all of it was about myself. However, I believe some of my personal email preferences helped overcome the rules that I’d broken. For instance, I believe a strong opening line is better than a perfect subject line. Think about it: regardless of what device you view an email on, your email inbox shows you preview text, so your opening line gives you more real estate to get creative and add context to your message. My first line to Adam was: G’day Adam, I’ve been meaning to get in touch to say thank you. So, while I broke one rule (perfect the subject line), I’d compensated by showing gratitude, which is rule #6. In the body of my email, it became undeniable that I’d done my homework (rule #3) and had an uncommon commonality (rule #4). In Adam’s TED Talk he shows a newspaper clipping of himself in a Detroit newspaper, so the fact that I’d interviewed Detroit Pistons legend Joe Dumars suddenly became as valuable as bitcoin. It was a calculated guess — it was more than possible Grant wasn’t a Pistons fan — but it is another example of something that’s not worth leaving unmentioned. Five hours after I hit send, Adam responded. And, after a number of email exchanges, I ended up introducing Joe and Adam — a really cool experience, and as unique thinkers it’s a relationship that is mutually beneficial for them. It’s important to realize that there is no ‘hack’ to cold emailing, particularly if you’re trying to connect with someone who is busy, or has a high profile. As you’ll see above, there was nothing formulaic about my emails and each one was tailored not only to the person, but also the situation. Doing your homework is equally as important as what you write. When an influencer has written a specific blog about how to cold email him (like Adam Grant had) make sure you’ve read it. You don’t need to follow it step-by-step, but you might stumble on a piece of information that leads you to an uncommon commonality. As entrepreneur Jayson Gaignard notes, it’s always handy to have an ‘anchor’. When discussing how he attracted a raft of high-profile speakers to the very first Mastermind Talks event, Jayson always mentions that once Tim Ferriss had accepted, it gave social validation to the event and allowed Gaignard to snowball Ferriss’ popularity to attract other big speakers (and high-profile guests who wanted to meet Tim). For me, that anchor was former Denver Broncos general manager Ted Sundquist, with whom I’d had a relationship for some time. You don’t need to namedrop your anchor every time, but it’s a tactic worth using when necessary. I think the amount of time we spend frivolously deconstructing cold emails to find a ‘better way’ is completely unnecessary. I’d urge you to be yourself and not put on a persona just because you don’t have the same stature as the person you’re emailing. You’ll notice two of my messages start with G’day, which is because as an Australian that’s how I greet people. Hit send! There’s no time like the present, and Barack Obama isn’t going to reply to you if your email is stuck in your drafts.